The late Bill Walsh, often referred to as The Genius for his cerebral approach to the game, was arguably one of the greatest football coaches of all time. 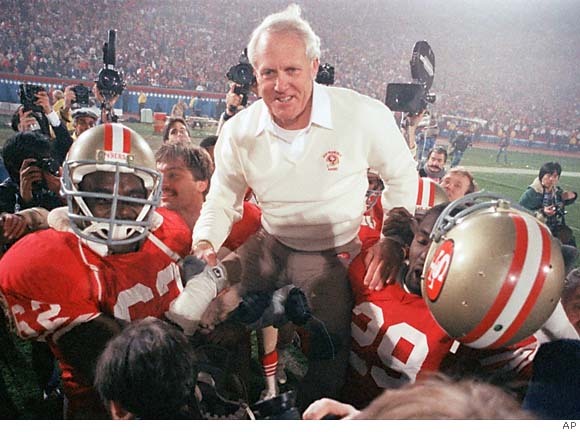 In his book The Score Takes Care of Itself Walsh outlines his philosophy of leadership that guided his transformation of the San Francisco 49ers from perennial also rans into a dynasty. As the title implies, Walsh believed that results (the score in football) come from focusing on the process rather than the end result. Doing the right things, the right way at right time leads to success. Walsh defined these attributes in what he called his Standard of Performance. To Walsh and the whole 49er organization it served as a "a conceptual blueprint for action."